Earlier this month, SPH REIT kick-started the latest quarterly reporting season with the release of its fiscal first quarter results ended 30 November 2018. This was followed by First REIT, ESR-REIT and Frasers Commercial Trust, which also unveiled their financial results last week. Frasers Centrepoint Trust, Keppel REIT, Mapletree Logistics Trust and Soilbuild Business Space REIT will announce their results today. The rest of the S-REITs and Business Trusts are expected to release their results over the next few weeks. The iEdge S-REIT Index’s 35 constituents, which have a combined market capitalisation of more than S$83 billion, have averaged a total return of 4.5% in the 2019 YTD. This brings their 1Y and 3Y total returns to 0.7% and 46.9% respectively. On 4 January, SPH REIT kicked off the current financial reporting season for Singapore REITs with the release of its fiscal Q1 2019 results. This was followed by First REIT, ESR-REIT and Frasers Commercial Trust, which unveiled their results last week. Frasers Centrepoint Trust, Keppel REIT, Mapletree Logistics Trust and Soilbuild Business Space REIT are scheduled to announce their results later today. The remaining constituents of the iEdge S-REIT Index will report their results over the next few weeks (see schedule below and click here for the weekly Economic Calendar). The table below highlights the confirmed, estimated and released dates of earnings reports by Singapore REITs and Business Trusts, sorted by date. Source: Bloomberg & StockFacts as of 17 Jan 2019. 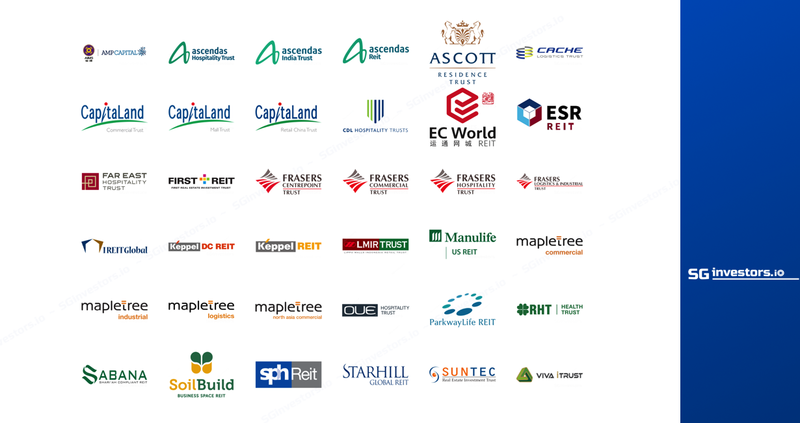 The iEdge S-REIT Index has 35 constituents with a combined market capitalisation of more than S$83 billion. The index generated a total return of 4.5% in the 2019 year-to-date, bringing its three-year and one-year total returns to 0.7% and 46.9% respectively. For a previously published Market Update on the recent performance of S-REITs, click here. The table below details the constituents of the iEdge S-REIT Index, sorted by market capitalisation. *Manulife US REIT is traded in USD, IREIT Global is traded in EUR, with their SGD equivalents shown in table.